Suzi is the Founder of Orcas Mandala Yoga & Bodywork Studio (www.orcasmandala.com) and specializes in personal healing sessions for individuals and small groups. 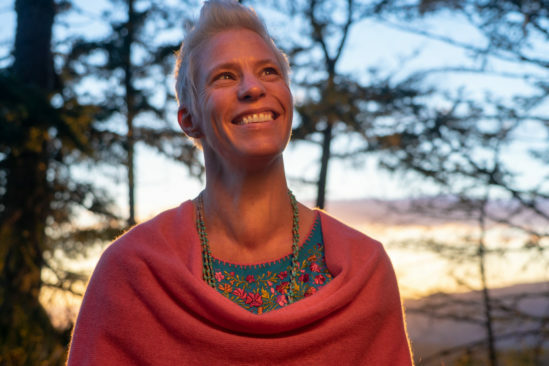 Suzi intimately touches the lives of her students and has been building community and creating a sanctuary for healing in her small-town of Orcas Island. Suzi works with the four domains of healing (biomechanics, biochemical, emotions and scar tissue), to address the root cause of imbalance and help facilitate optimal health. She brings an openness and honesty to her sessions and incorporates her love of poetry, the natural world, anatomy & alignment, somatic movement and Ceremony. Suzi is supportive and empowering as she encourages students to explore their edges with kindness and to connect with themselves in a deeper way. Suzi enjoys time with her Daughter, Sol and taking long walks up the mountain to watch the sunset with her Husband, Bernard. She loves to travel and be home with a cup of chai tea and chocolate. Suzi honors the simple life of food, water, home, family and community. She hopes to help women, families and communities lead healthy, vibrant lives in harmony with our Mother Earth. Deep bow of Gratitude to my Mentors for your guidance on this path ~ Tias & Surya Little, Hugh Milne, Ellen Heed, Tami Lynn Kent, Kimberly Ann Johnson, Rachelle Garcia Seliga and Alex Turtle & Chenoa Egawa. You can contact Suzi at suzi@orcasmandala.com, or 360.298.0218.